Another year has nearly come & gone – where does the time go? All of us at Windham Weaponry would like to wish our friends and customers a very Merry Christmas, with hopes for a healthy and prosperous New Year. Take a moment to look at our feature rifle for this month. We developed it specifically for the New York State market where – because of their legal regulations – a number of the usual features of an AR15 rifle are banned. So this NY State model features the unique Thordsen Stock / Grip combination. This stock offers a comfortable sporting rifle type grip that flows back into the “free-standing” buttstock & plate – leaving the buffer tube as just an extension of the receiver. Again according to NY regulations, the magazine is limited to 10 Rounds, the muzzle of the barrel is machined with a plain “competition crown”, and the front sight base has had the usual bayonet lug machined off. With all those changes, this rifle still offers all the accuracy, quality and durability of our other models as its other components are all the same as standard production rifles. Go to www.windhamweaponry.com to see all our rifles and accessories. Or, call us for a free catalog (1-855-808-1888) – we’d love to hear from you. If you work in the firearms industry, you’re no doubt aware that SHOT Show 2017 is right around the corner. So, if you are attending, please stop in at Booth 10376 to see all our new offerings, or just to say hello! We look forward to seeing you! With suppressor use on the rise the use of an adjustable gas block to control the operation of the rifle makes a lot of sense for those who are using one. In the case of the .308 it is usually necessary for reliable functioning of the rifle when shooting suppressed. Too much back pressure from the suppressor in the powerful .308 cartridge will often cause reliability issues as the rifle will run way too hard as the rifles are tuned to be fired unsuppressed. I have fired 5.56 caliber rifles suppressed successfully with no adjustable gas block but even in that caliber it usually makes sense. It is a lot easier on the rifle and more pleasant to the shooter to dial the gas pressure back a little. In the following tutorial, I show the installation of the POF Midlength .308 adjustable gas block on one of our 16″ .308s with the 15″ Midwest Industries free floating handguard. First as always make sure the weapon is unloaded, then push the takedown and pivot pins out and remove the upper from the lower. Then remove the screws that secure the handguard to the barrel nut. In the case of the Midwest Industries handguards they are Loctited to the barrel nut. On a hard non marring surface hold the handguard and thump the muzzle end down to free the handguard. If it seems not to want to budge apply a little torch heat to the area that is Loctited then the handguard should come free from the barrel nut. With a center punch put a punch mark in the hole at the rear of the factory gas block in the dead center. This is where the gas port is located on the top side and you will use this mark to line up the adjustable gas block. With a wide flat punch and a hammer start both of the taper pins. You will be hitting them left to right. Note one head of the taper pin is smaller than the other. You want to drive them out from the small side. Once they are started, use a smaller punch to drive the pins all the way out. With a wooden or plastic mallet drive the gas block and gas tube assembly off the barrel. Once it is off degrease the barrel and also the insides of the POF gas block where it will contact the barrel. Once the punch mark is visible put another punch mark through the front screw hole in the dead center. Before I go further I want to mention that I’m showing how to put divots in the barrel to correspond with the set screws. I am showing this as this is the method POF instructs it to be done. When I first tested one of these I did not do this. I simply used the Loctite as I will describe below and the gas block held on just fine. So the divots may be unnecessary. But if you want that added step of confidence that the gas block will not move, put the divots in. Also note that sometimes the screw holes may line up with the taper pin holes where the steel is very thin. In this case the set screw will really just bend the steel in a bit where you are installing it and that really will do the same thing as putting a divot there. You will see in one of my pictures where the divot was actually starting to break through that area anyhow. When drilling the divots use a carbide drill bit for best results. I used a .170″ carbide drill bit in this case. All you want to do is put a pretty shallow divot in the barrel. Put green 680 Loctite on the two areas of the barrel where the gas block contacts. Slide it on and line up the back divot again so it looks dead center in the hole. Let the gas block set for a while. After 15 minutes or so you should no longer be able to move the gas block by hand and it should be at 12 O’ Clock with the upper receiver. Put a little red 262 Loctite on the screws and screw them into the gas block. Wipe off any excess Loctite. Reinstall handguard with some fresh 680 Loctite around the barrel nut. Torque the handguard screws down to 28-32 inch pounds. A little wrench comes with the gas block that can be used for adjusting it, but when a long free float handguard like this is installed it can’t be used. There are also slots in the gas block adjuster so you can just reach in there with a screw driver to adjust the gas block. In this case I turned the adjuster in all the way and turned it back out until the rifle ran perfectly and locked back on every empty magazine on the last shot. When shooting unsuppressed you will have it turned out quite a bit. With a suppressor you will adjust it in more. There are nine positions on this gas block so you can adjust it perfectly for your suppressor and loads. When adjusting it in the field though just make sure that between firing and making adjustments you unload the rifle each time and lock the carrier to the rear so you can visually see there is no round in the chamber. When adjusting your hand will be in front of the muzzle so this is VERY important. You don’t want to lose a hand or worse. As with all of our items, these can be installed here at the factory if you don’t want to tackle it on your own. There is no labor charge. Just call customer service at 1-855-808-1888 to set it up. What’s the recommended break-in procedure for my new Windham Weaponry rifle? Fire 3 shots, then clean your barrel. Fire 5 shots, then clean your barrel and you’re done. We recommend .223 ammo in the VEX-SS for break in and best accuracy results. We have tested the VEX rifle with 5.56 mm NATO ammo and found it safe to shoot, but we’ve had the best accuracy with match grade .223 ammo. In our testing we have found Federal Premium 69 grain BTHP and Hornady 75 gr BTHP to perform really well and deliver excellent accuracy in the VEX. With a Realtree Camo crown and bill and cool tan mesh back, this hat makes a striking statement on the range or in the field. A comfortable “one size fits all” design features a tan embroidered Windham Weaponry logo over the bill and an adjustable Velcro back-strap for snug fit. 9 oz., 60/40 Cotton/Polyester Fleece Pullover is embroidered with Windham Weaponry’s classic script logo in pink on the front and screen printed larger with our quality watchwords on the back. It features raw serge edges; a thick white drawcord; 2×1 rib trim on the waistband and cuffs; raw edge seams around the hood opening, pocket seams and neckline. Front pouch pockets offer convenient storage and handwarming. I will be attending Shot Show again this year from January 15th to January 21st. We’ll be in Booth #10376, so please come by and check out the “NEW” additions to the Windham Weaponry line. I just got back from Las Vegas as I was attending the Wrangler National Finals Rodeo. We here at Windham Weaponry have been involved in the rodeo for going on 4 years now. We have 4 amazing cowboys in the finals this year! – Tanner Aus; Tim O’Connell; Heath DeMoss and Nick Guy. Take a minute to check out their Facebook links below and show them some support. As many of you out there know, we here at Windham Weaponry have done some very special builds for many police departments out there. I would like to share one of our latest special builds that we did for the officers at Cattaraugus County Sheriff’s Department in NY. This build was a challenge to meet all the needs of the department but with the help of Detective Kenneth Rice of the Cattaraugus County Sheriff’s Department we were able to build some amazing rifles. Ken noted with enthusiasm on that photo that “We love ’em!”. A special thanks to the officers for allowing Windham Weaponry to do this for you all, and for sharing such an AWESOME photo. Stay Safe my friend! 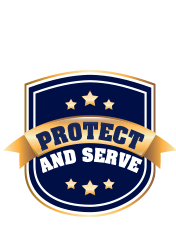 Please keep in mind that if your department or agency is looking for rifles, and if you have firearms to trade, PLEASE reach out to my assistant Cindy Thompson or me in order to give us the opportunity to earn your business. CUSTOMER FEEDBACK In this Section, we encourage our customers & friends to send us their comments, photos and experiences with Windham Weaponry products. What are you doing with your Windham? You gents and ladies are doing it right, my Fav AR company!! My son got his first buck using your 7.62×39 AR15 this year. He shot it at 60 yards and he went down. Well, I opted for 62gr and I’ll tell you, sighting this stuff in for Deer is great! I suppose I could have used other stuff but this went into the Center of the Target at 100 yds at .5 – dead on or less!! I wish I would have saved the damn Target to show!! Well anyway, anybody reading go out and get GET THIS RIFLE !!! HAPPY HOLIDAYS TO ALL AT WINDHAM WEAPONS !! 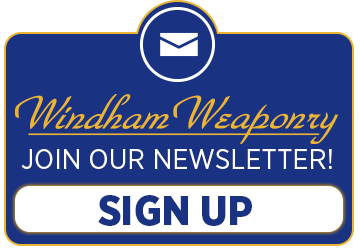 To send items, please email: newsletter@windhamweaponry.com We look forward to hearing from you! and we want to thank our friends and customers for all your support. …and we look forward to seeing you in the New Year!